Around 5 PM (local time) a white van drove at full speed against passersby who were in the downtown area, specifically on the Ramblas, known as the epicenter of tourism in the city of Barcelona, ​​one of the most visited summer destinations in Europe. 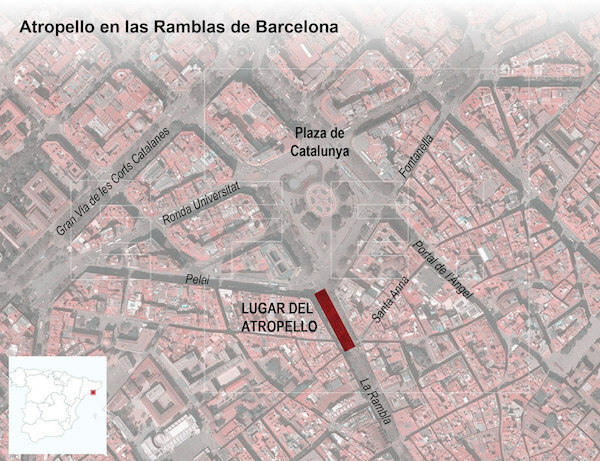 Las Ramblas de Barcelona are the main pedestrian arteries of the city and the most important tourist transit place, so the accelerated movement of the vehicle was deliberate. The two passengers who were in the vehicle fled the place, leaving a passport in one of the seats belonging to a Spanish citizen, originally from Melilla (Spanish autonomous city in North Africa). The perpetrators are currently on the run in the small streets of the Raval neighborhood in the center of the city, and reports indicate detonations of firearms in the area. Police officials have said they have arrested one of those responsible, and have identified another one. The security forces have deployed a control operation and have activated measures covered by terrorist alarm situations, including restrictions on public transport, vehicular control points on the main access roads to the city, and increased security in main stations and airports. Representatives of the Government of the Province of Catalonia have declared the "suspension of recreational activities" and have urged citizens not to leave their homes while the situation is controlled. 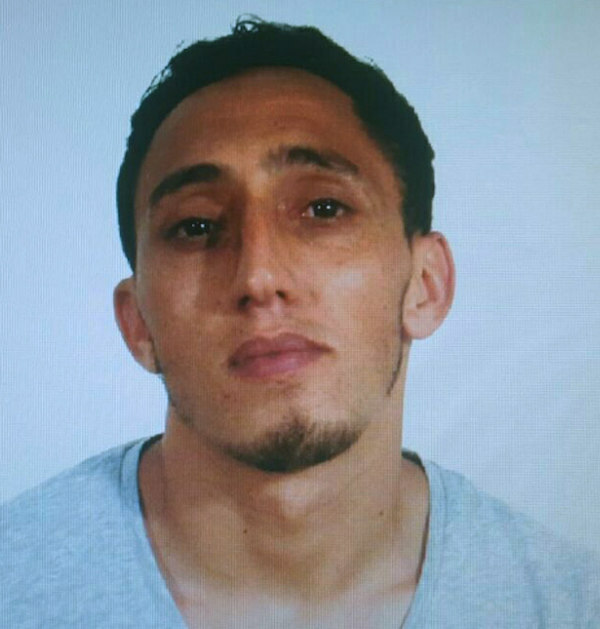 Investigation teams have identified the person responsible for the rental of the vehicle as Driss Oukabir, a French citizen, originally from Marseilles and the first person arrested. A second van involved in the attack has been located in the town of Vic, about 60 kilometers from the scene. Isolated incidents have been reported outside the city center, where vehicles have avoided security controls, even winding down police officers. The community has been organized to facilitate the transportation of people who have taken refuge in the shops of the city center for more than four hours, as well as social and psychological assistance. The Barcelona bombing is the second most serious terrorist act in Spanish territory, after the events that occurred on March 11, 2004.